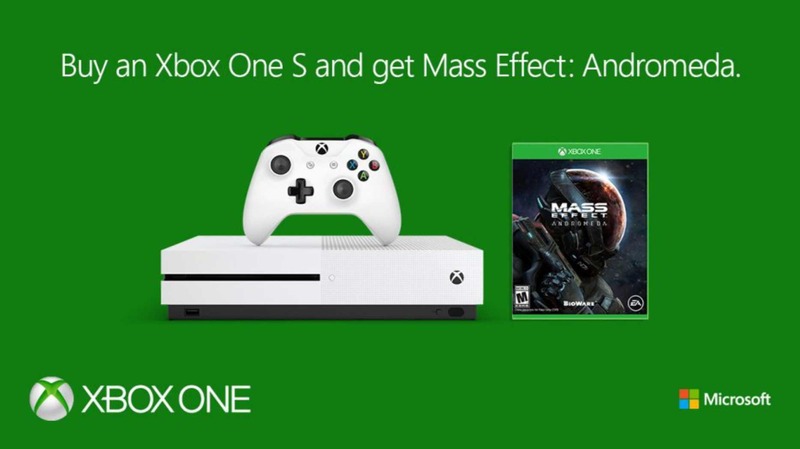 Microsoft is now giving an extra free game including Mass Effect Andromeda with select Xbox One S bundles for a Week. Xbox One S comes with one free game but now you will get one more free game. Xbox One S is 40 percent smaller and features HDR support for some games. The console also includes a new Bluetooth supported Xbox One wireless controller.